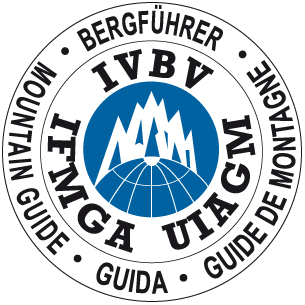 The Climbing Wall Instructor (previously the Climbing Wall Award) is a national qualification administered by Mountain Training. It is about supervising climbers on purpose-built artificial climbing walls and boulders. It is ideal for people who work at climbing walls or at venues with permanent or mobile climbing towers. There is also an optional abseil and top-roping module (often run in conjunction with the training and assessment courses). Chris is approved by Mountain Training as a course provider for the Climbing Wall Instructor scheme. You can read more about it below, and you can check out the Climbing Wall Instructor page on the Mountain Training website. There are many Climbing Wall Instructor course providers throughout Britain, so why should you book with us? What are the pre-requisites for the Climbing Wall Instructor? Detailed information on each of the above topics can be found in the Climbing Wall Instructor handbook (which is currently being developed, shortly available for download it from the Climbing Wall Instructor page on the Mountain Training website). Day 2: Meet at a different wall at 10.00am. The climbing wall environment. Planning, organising and managing sessions. Group supervision and management. Basic problem solving. Abseil & top roping module: equipment, belaying, anchors, managing simple problems, group management and supervision. Finish around 6pm. Our training courses are based at two different climbing walls. For courses within Cumbria, the first day is usually at Ambleside, and the second day is always at Kendal. Assessment courses are at Kendal. Courses run at other locations will be based at climbing walls with suitable facilities. 5% off to anyone who has previously done a Mountain Training qualification course or a masterclass with us. We run Climbing Wall Instructor courses on a bespoke basis: if you have a group of two or more, we can arrange any of these options on a date and in a location to suit you (a mileage charge is made for courses outside Cumbria). Huge amount of knowledge from each instructor and very well presented. Chris was always checking the what he had said was understood and he has a very natural teaching ability. I really enjoyed the course. Hope to be booking the assessment in 6 months.